Welcome to Flashback Friday! Today I have a card that I made many years ago, and was one of my most popular display items for a while. 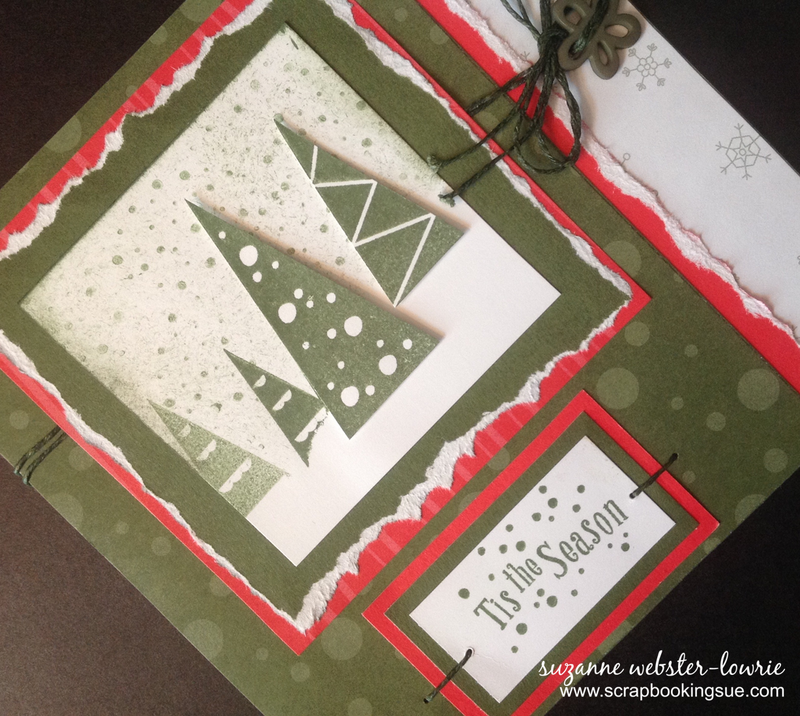 The “Tis the Season 6″ x 6” card was made with the Contemporary Christmas paper packet and the “Tis the Season stamp set (which I have in a wooden block and rubber set!). 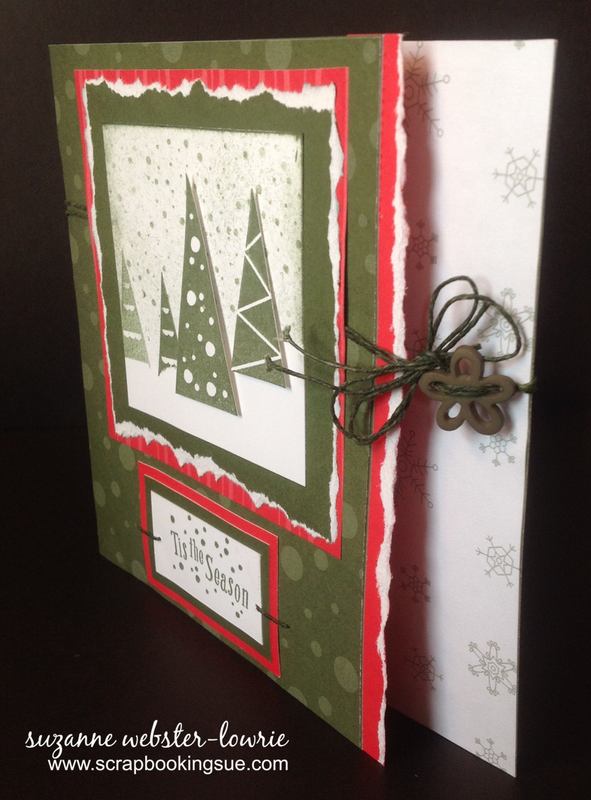 This card included many different layers of paper piecing and distressed and torn edges. The trees and background were stamped to resemble a snowy Christmas scene. The card opening was tied together with Waxy Flax string (a retired item from CTMH) and a cute matching button. 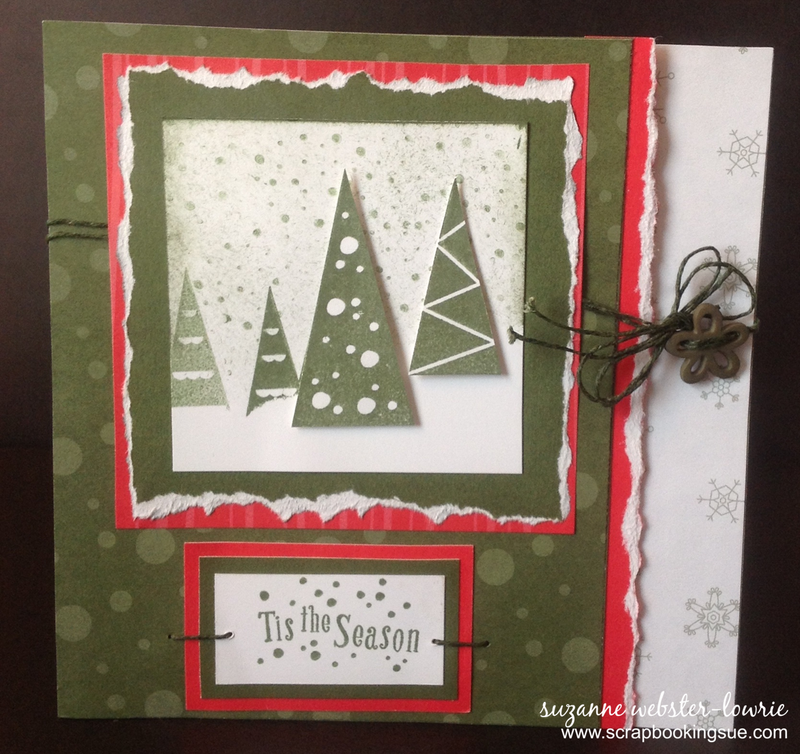 The color palette for this card included: New England Ivy, Holiday Red (retired), and White Daisy. Amazingly, I still have 2 brand new packets of this festive paper, that are for sale in my Etsy shop. The Contemporary Christmas paper includes 14 sheets of exclusive patterned papers and cardstock, and is available here if you would like to check it out.